1) Case Manager (CCMC), 2) Dieticians (CDR), 3) Disability Management Specialists (CDMS Commission), 4) Health Care Executives (ACHE), 5) Licensed Clinical Professional Counselors (NBCC), 6) Nurses (ANCC), 7) Occupational Therapists (American Occupational Therapy Association, Inc.), 8) Physical Therapists (Federated State Boards of Physical Therapy), 9) Physicians (ACCME), 10) Physician Assistants (ACCME), 11) Psychologists (APA Division 22 Accreditation), 12) Rehabilitative Counselors (CRCC), 13) Social Workers (NASW), 14) Speech-Language Professionals (ASHA), 15) Texas Physical Therapists (Texas Physical Therapy Association). The WORLD PASS includes CME/CEU processing. 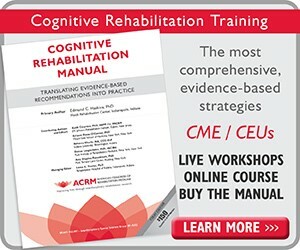 CME/CEU processing is also included in most Pre-Conference courses, as noted. 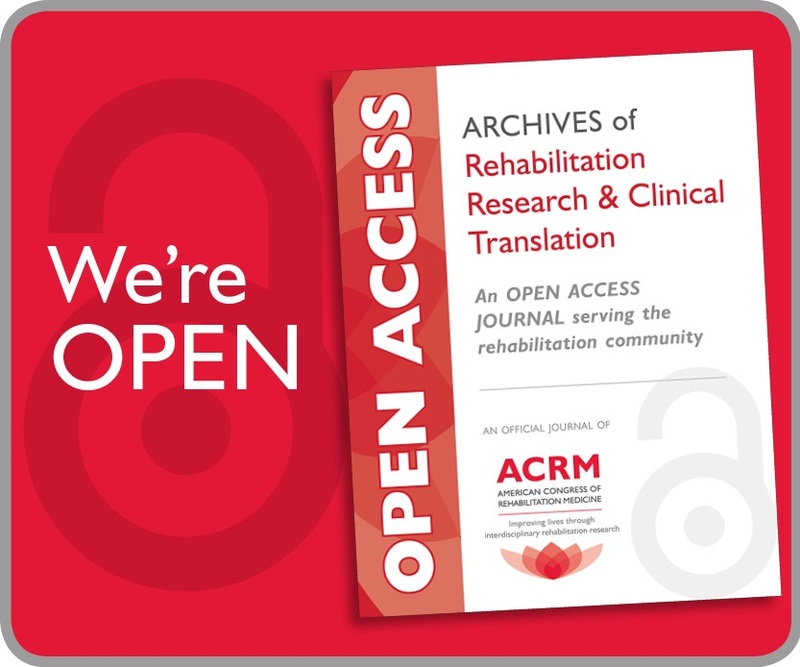 The ACRM Annual Conference provides Section 1 Credit, Accredited Group Learning, as recognized by the Royal College of Physician and Surgeons of Canada. 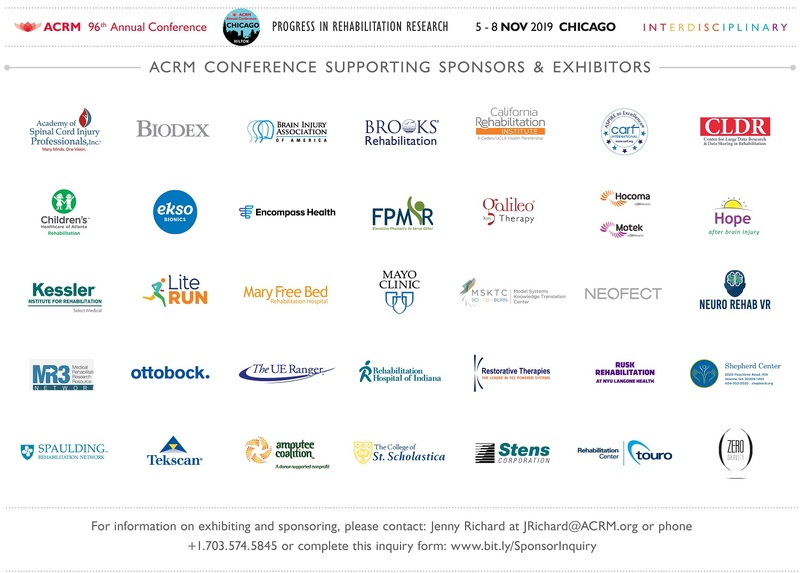 This Conference is produced by ACRM, a physician organization, through Joint Providership with the Firm, Inc., an Accreditation Council for Continuing Medical Education (ACCME) accredited provider. Certificates will be awarded to those participants who attend the conference, pay the processing fee and complete an online session evaluation by 22 December 2016.
Credit is only given to attendees that successfully complete the entire course and evaluate the course. The maximum contact hours earned is 42.5. The credit amount will vary depending on the CE approver. 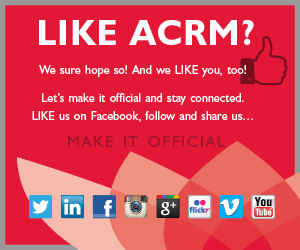 ACRM Educational Conference session evaluations are electronic. After the conference you will receive an email with a link to the evaluation system. Please click on the link and begin to evaluate each session you attended. There will be separate evaluations for the Pre Conference and the Core Conference. As an ACCME accredited provider, it is the policy of the Institute for Medical Studies (IMS) to require faculty participating in this activity to disclose any relationship they may have with the commercial supporters of this activity or with any other commercial organizations. The staff of IMS has no financial interest or other relationships to disclose. *All maximum approved hours are subject to change and will be finalized based on the offerings at the live meeting.